First of all it’s Friday and as you know I usually bring you new authors and books. I have featured this writer, Mo de la Fuente, in my blog before, and shared some of her novels in Spanish. I was lucky enough that she decided to have one of them translated to English (she took advantage of my special offer in March, 50% discount… I might do it again, but there’s always a deal to be had for my author friends and fellow bloggers). I recently shared my review of her novel in Spanish (that has nothing to do with me), and what I decided to do today, was share that review (translated to English) with you. The review is not reflection of my own work (the author has very kindly said that she prefers my version to hers) but I enjoyed the original, as you’ll see from my review. I also share the author’s page in Amazon, that is available in bilingual version. As dawn breaks, the usual calm of a tiny quiet Mediterranean island is shattered by the news. A teenage girl has gone missing. Inspector Villanueva, temporarily transferred to the island, and sub-inspector Esteller must fight against the elements, the lack of resources, and their own demons to solve the mystery of what happened in a place where nothing ever does. I don’t read exclusively a single genre, although I freely admit that I like thrillers and mystery books and I read quite a few of them. In part because they are like a puzzle we try to solve thanks to the clues the text gives us, in part because I like to see how the writer manages to bring something new to the genre. And for me, no matter what type of story I’m reading, finding interesting characters I can connect with it’s the most important thing. This novel takes place in the small island of Tabarca, in the Mediterranean, off the shore of Alicante. As several of the reviews of the book point out, reading the novel makes one want to visit it, because of the wonderful descriptions of the peace and quiet, the thought of a place with no cars, without pollution, and calm. In such a small place, where everybody knows everybody else (apart from the tourists, of course) and where nothing ever happens, a girl’s disappearance is an event that upsets everyone. And when Clara turns up dead, things only take a turn for the worse. The combination of the place and the setting with the investigators: Hernán, an inspector sent there god knows why, Mónica, who had been sub-inspector in Barcelona but decided to quit due to personal reasons, and Raúl, the only one not hiding from something and who is totally happy there, works beautifully. The investigation is hindered by circumstances (even with the arrival of the inspector, there are only three police officers in the island, there’s no lab, and no way to follow correct protocol) and the lack of resources (an excellent commentary on the budget cuts Spain is suffering), and little by little we discover more details about the island’s inhabitants and about the members of the police. I really enjoyed the ending (that I won’t talk about in detail as I don’t want to spoil the surprise) and it rounds up a novel that, although short, is long enough to intrigue and touch us. I found Mónica’s personal story, closely related to the case, fascinating, and it would make a great novel (or more than one) on its own. Quite aside from the details, for me the author manages to portray complex psychological aspects and the reactions of the characters in a very accurate manner, by using several points of view, that help the reader get under the skin of the characters, sharing in their emotions and their life experiences. For me, Mónica, María (the victim’s mother) and the island of Tabarca stand out in the narration and I’m sure I won’t forget them in a hurry. I recommend this book to readers who love mystery novels that go beyond the usual, psychological thrillers and extraordinary settings. Mo de la Fuente (Salamanca, Spain) studied Translation and Audiovisual Communication at the University of Salamanca and Westminster School of Languages (London). 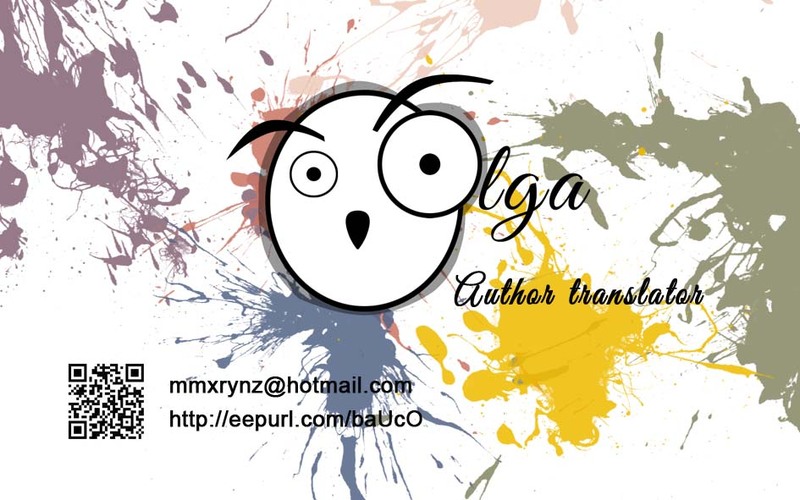 She is an official translator and “Ojalá Paula” is her first novel. Besides, she writes and produces short films. Thanks so much to Mo de la Fuente for this opportunity, thanks to all of you for reading, and if you’ve found it interesting, like, share, comment and of course, CLICK! I like characters who stay with you after you’ve finished reading a book. Yes. Me too. I love a good plot but characters tend to make or break it for me. Have a great weekend, Rosie. I may not be ready to read a mystery book set on a Mediterranean island just yet (perhaps it would be therapeutic to write one!) but when I am, The Quiet Island sounds like an excellent place to start. Thanks, Sarah. I’m determined to visit Tabarca, despite the story. It sounds like a magical place (and I’m pretty sure the crime was not inspired in real happenings). I understand it’s probably a bit too soon for you… 🙂 And talking about writing, how are your memoirs coming along? They’re not. Not yet. But they will, once I’m settled in Bembridge. It is always refreshing to get a murder mystery from a location other than the USA. I am reminded of the Inspector Montalbano stories, or the books from Ann Cleeves, set in Shetland. Good luck to Mo with this, she could be on to a winner. Thanks, Pete. Yes, you’re right, it’s refreshing. And the setting plays a bit role in this story. I also agree about her bob (it doesn’t suit me but I love it!). Have a great weekend! I’m immediately drawn to the title, in my constant craving for a place of peace and quiet. LOL, but clearly the island is not so tranquil. It sounds like a marvelous mystery, Olga. Thanks for doing and translating this review and novel. Have a wonder-filled weekend. Huge hugs. I’m pretty sure Mo is not prescient… I hope, anyway! It sounds like a fabulous place and I’m with you on the peace and quiet front. Have a fabulous weekend, Teagan! A wonderful review. I love when characters remain in my thoughts after I’ve finished a book, but since I don’t read thrillers, I’m not sure I’d want this one hanging around. Thanks, Michelle. It’s quite harrowing, so as much as I loved it I wouldn’t recommend it to somebody who doesn’t like thrillers or dark subjects. Have a great weekend. Sounds like the Quiet Island is something else 🙂 I like mysteries. Thanks, Inese. I think you’d like to visit too. It sounds like a great place for pictures.